Retailers want to embrace the omnichannel methodology but they realise they can’t be all things to all customers. While it is true that today’s shoppers, and in particular Millennials, want to purchase goods and services through different channels, many retailers are still struggling to adapt to the latest iteration of retail reality in which shopping takes place 24/7, and may start in one channel and finish in another. According to Aberdeen Group via OneReach.com, companies with solid omnichannel customer engagement strategies manage to keep an average of 89% of their customers. Those with weak omnichannel efforts? They retain a meager 33% of their customers. Therefore, it’s critical to create and maintain a consistent customer experience across all sales channels. The trick is to do it in a streamlined and efficient manner. What often plagues those efforts is a retailer’s unrealistic self-expectation that it can be everyone’s favorite company. Ironically, trying to be please everyone leaves customers feeling ignored. A more effective strategy is to learn who your target is and then increase that base. Those results will be more satisfying to everyone that matters. Learning what your shoppers are seeking and providing more of it (as well as complementary items) is key. That type of personalisation is crucial to incorporate into the omnichannel plan. Think of how Amazon uses customisation to suggest additional complementary purchases. In a similar fashion, brick-and-mortar retailers can use the reams of data they’ve collected on shoppers to notify loyal customers of upcoming events or sales, and entice in-store shoppers with special deals via text messaging, e-mail or even beacon alerts. Paradoxically, “low-tech” methods have an important role too, perhaps even more so in a world that is gravitating increasingly toward automated phone trees. After a significant purchase, a personal phone call (perhaps prompted by a high-tech customer relationship management software package) from the sales associate can be welcome. It shows interest, affirms their satisfaction with the purchasing decision, shows the retailer thinks of the shopper as a unique individual — and opens the door for subsequent sales. However, those so-called “robo” customer service calls are counterproductive and may in fact leave the recipients with exactly the opposite reaction than is intended: Nothing says “we’re doing this because we have to” better than an automated customer service call. As more data is gathered and analyzed, retailers are evolving their strategy to hone in on what their core customers expect and desire, rather than attempt to be everything to everyone. The “jack of all trades” strategy inevitably proves the company is “master of none,” and leaves customers unfulfilled at best and angry at worst. 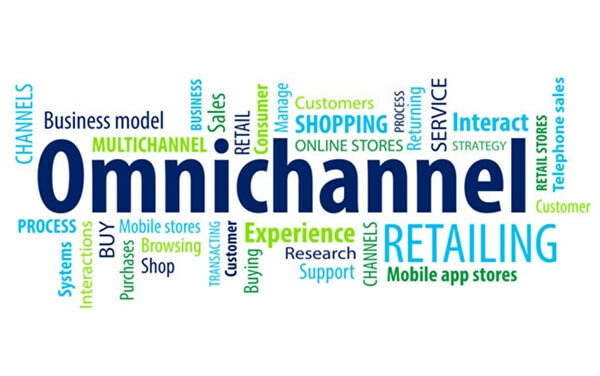 The remaining 2 tips to simplify omnichannel - technology and staff - will be discussed in the next part of this blog.